The mystery and intrigue is at high levels in this book, with Mags' past at the center of a lot of it. He is a person without a past. No one knows who he is or where he came from until a foreign operative seems to recognize him. And that moment of recognition puts Mags in the spotlight, and not in a good way. 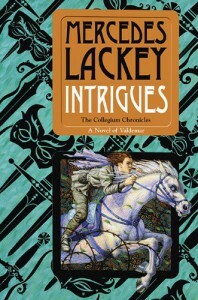 I love all of the Valdemar books and this one is an important part of the series. Not only does it give some information about the Collegium, it focuses on a character that is different from many of the others that have been the focus of other series within the saga.